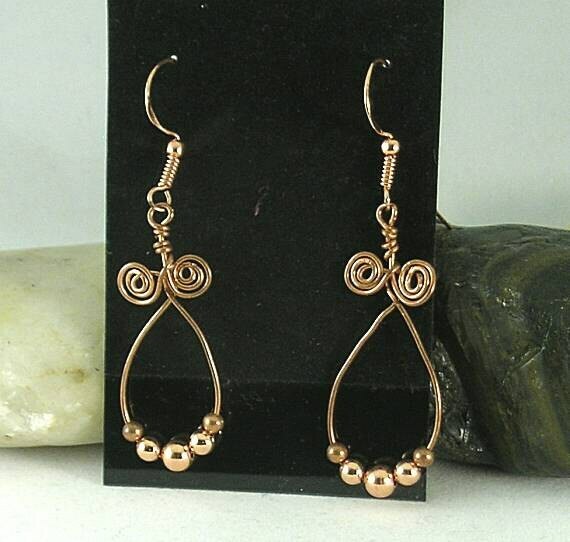 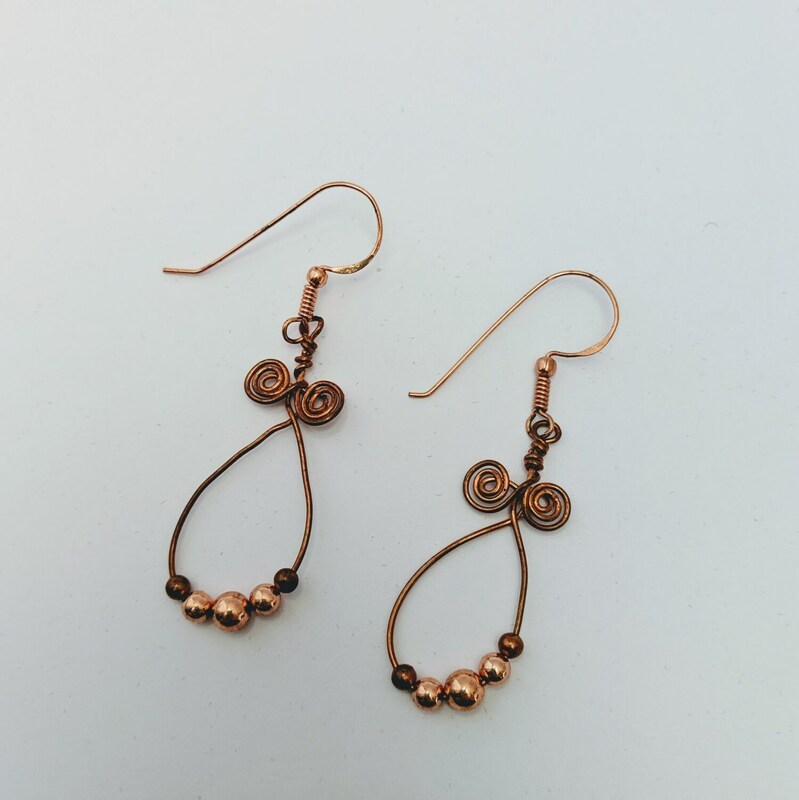 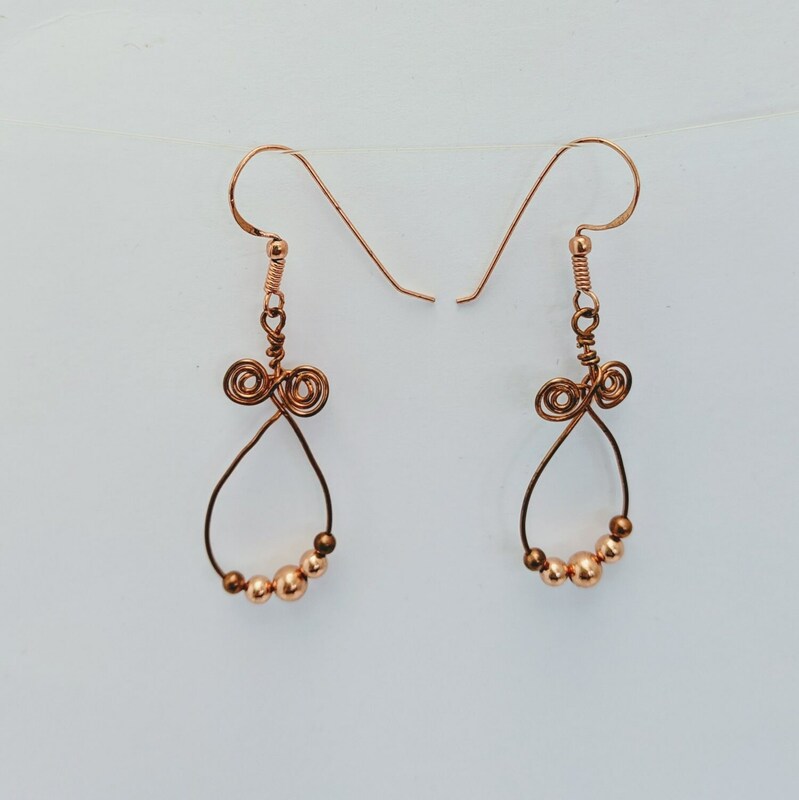 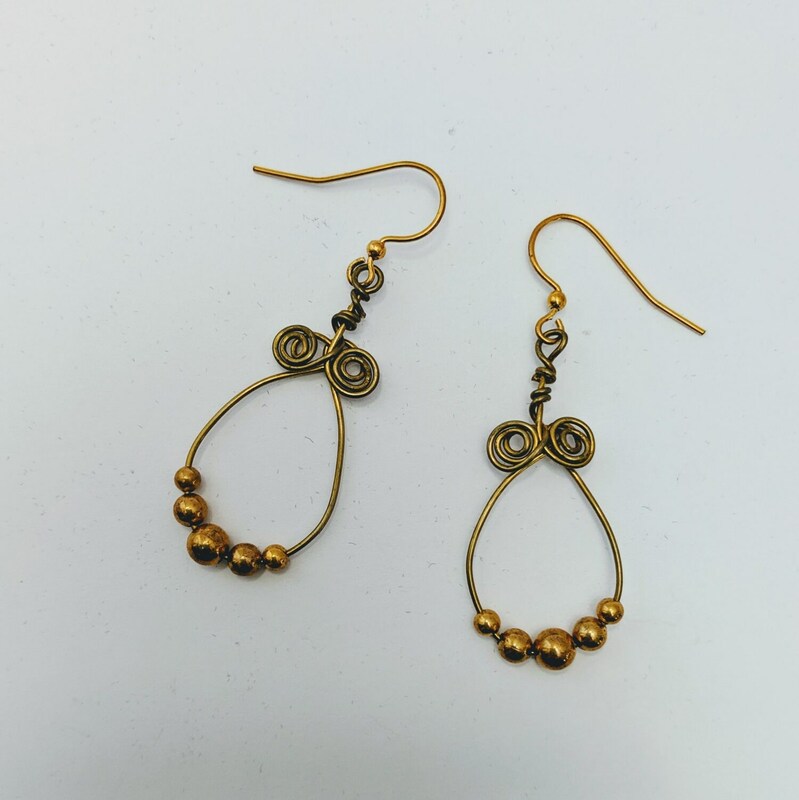 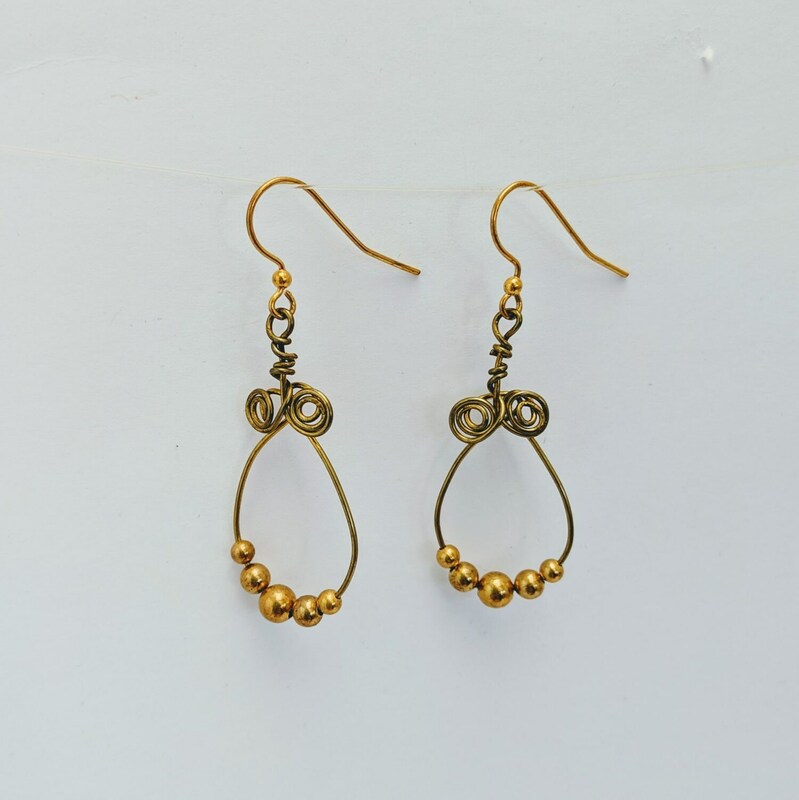 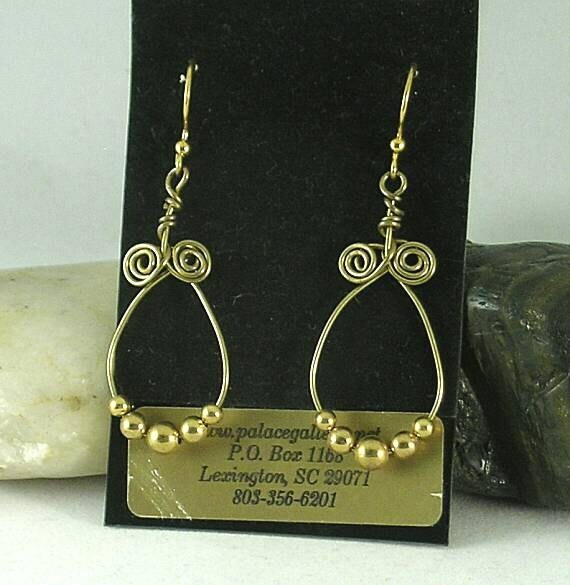 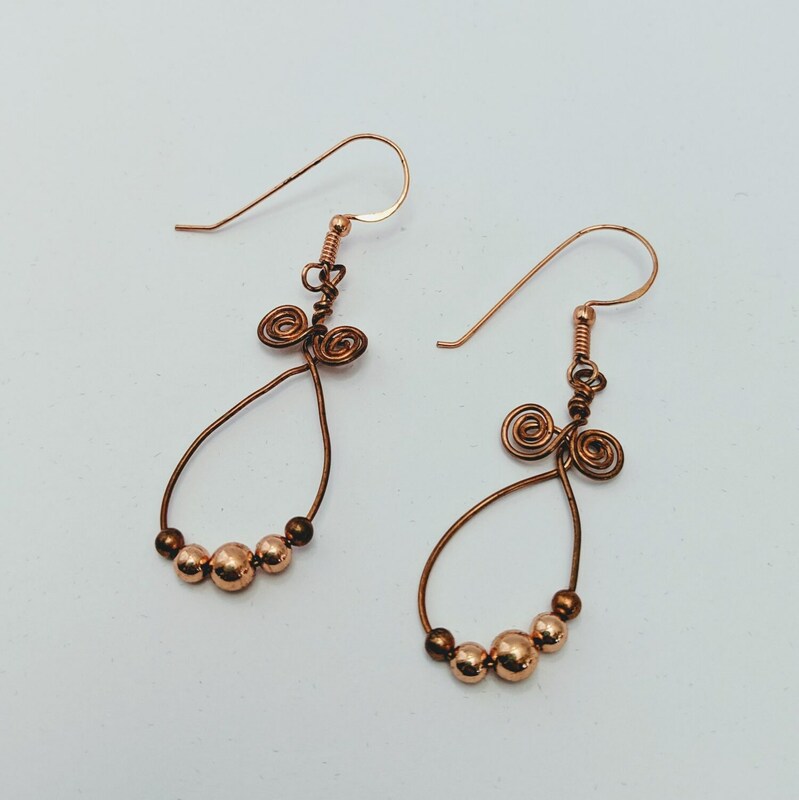 These earrings are made with metal beads strung on jewelry wire that was formed into a loop and then wrapped into spirals. 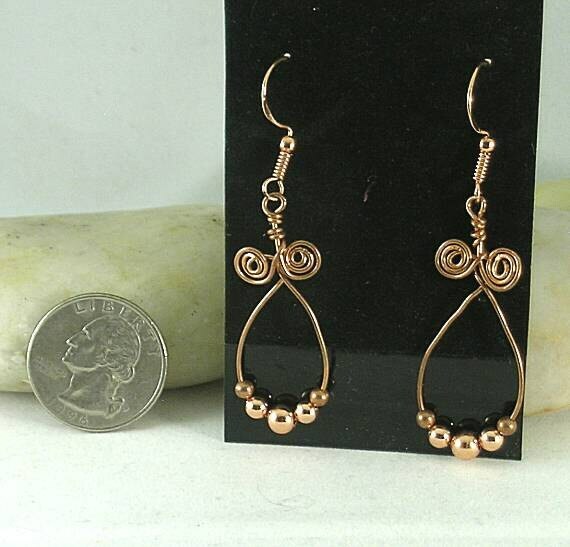 The pendants are approximately 44mm in length which is almost 1 1/4 inches. 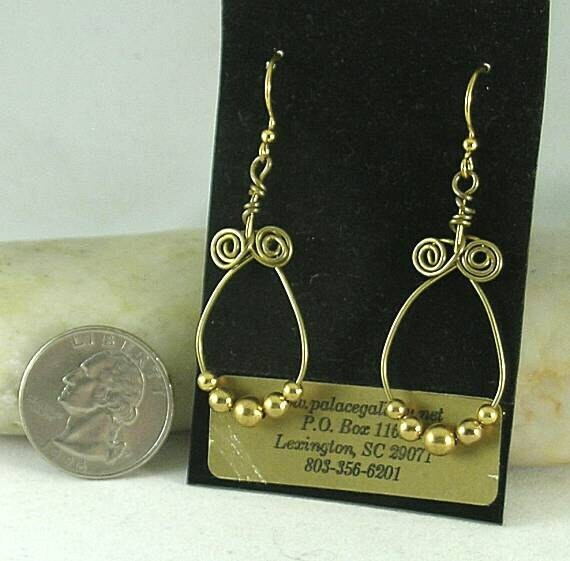 When attached to the ear wires the overall length is between 2 1/4" and 2 1/2" depending on the style of ear wire used. 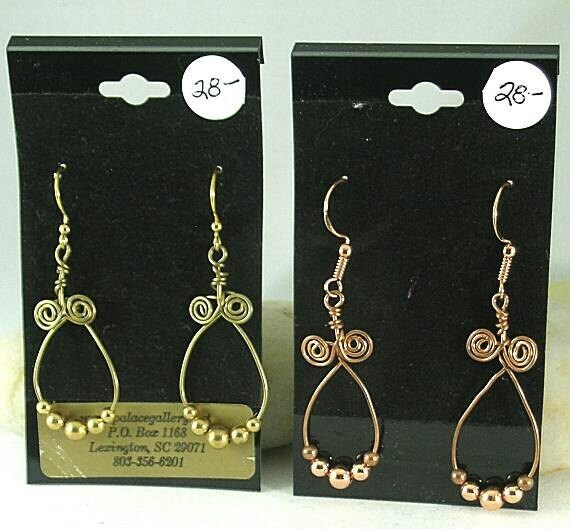 We ship via USPS Priority Mail - Insured for safety and so that all packages have a tracking number and can be tracked on-line.